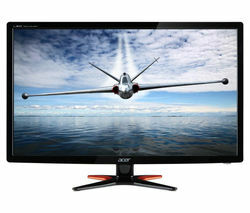 Our range of Acer monitors offer full HD visuals to enhance your viewing experience. 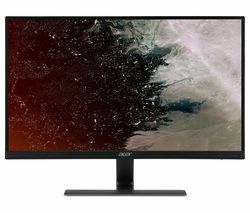 Ideal for streaming high-resolution videos, watching your favourite movies, or even editing multimedia, our Acer monitors feature a whole host of performance focused features, including Full HD resolution which delivers truly stunning images, as well as WQHD resolution which optimises visual quality. Acer technology makes using your PC a comfortable and enjoyable experience, allowing you to reap the benefits that come hand in hand with Acer’s eColour Management, ComfyView anti-glare technology, blue light filter features, and Adaptive Contrast Management and Flicker-less technologies. All of these features mean you’ll be able to use your monitor for longer, and even those who use their monitor on a frequent basis will still see perfect detail and graduation levels time after time. And, with so many options in our Acer monitor range offering energy efficient performance, you won’t need to worry about running up high household bills! 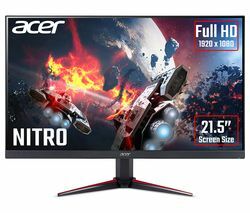 Our high quality range of Acer monitors are ideal for bringing your computer entertainment to life through full HD visuals. 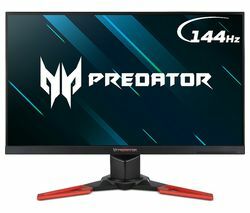 So, if you’re looking for a high performance monitor, make sure you check out our PC monitor range today! We provide an extensive range of high profile brands including HP monitors.